What a day! The walkers acted and walked with conscientious compassion to ensure that hungry people all over the world are fed and that girls in particular would be given an opportunity to gain an education instead of being exploited to earn money to feed their families. The walk, four miles in all up and around the park, was led and inspired by BGR’s founder and chair, Ven. 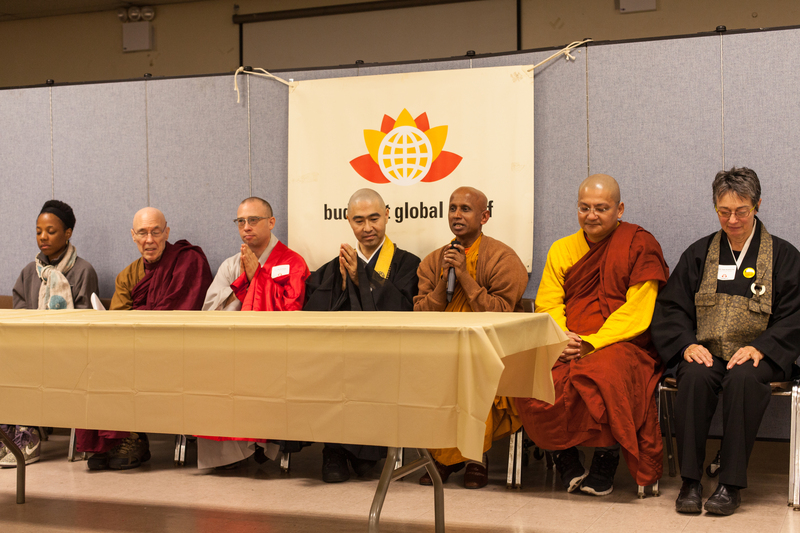 Bhikkhu Bodhi, himself a native New Yorker. With zest and vigor his friends and students, supporters of BGR, and people from a variety of congregations and backgrounds gathered in the green near 79th Street, eager to put their feet to work in generating funds to combat global hunger and malnutrition. After a short talk by Ven. Bodhi on the origins of the walk, and blessings chanted in Pali by Ven. 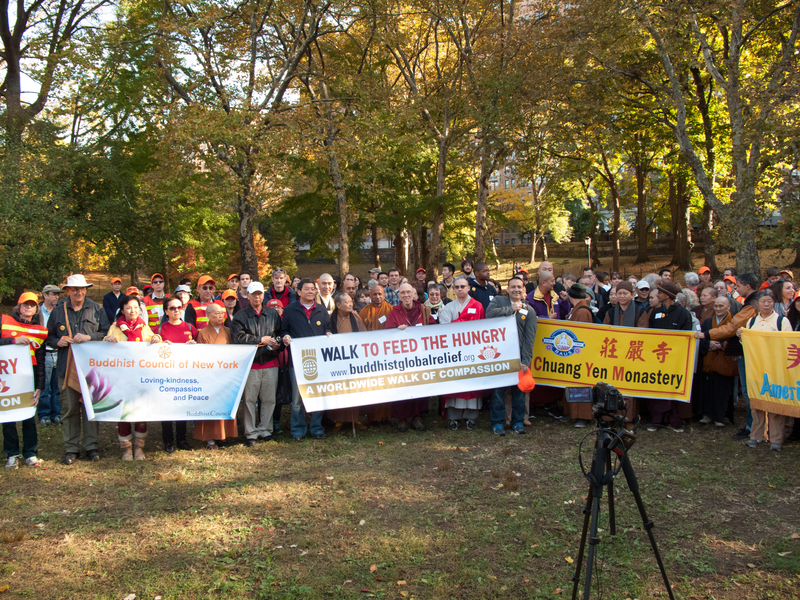 Kondanna of the Staten Island Vihara and in Chinese by the monks and nuns of Chuang Yen Monastery, the walk took off. The walkers formed a virtual United Nations of ethnic origins. They included Buddhists, people of other faiths, people with no avowed faith, and clergy wearing a rainbow of robes from mustard yellow to red and mahogany to gray, brown, and black. All walked together in peace for a cause dear to their hearts. 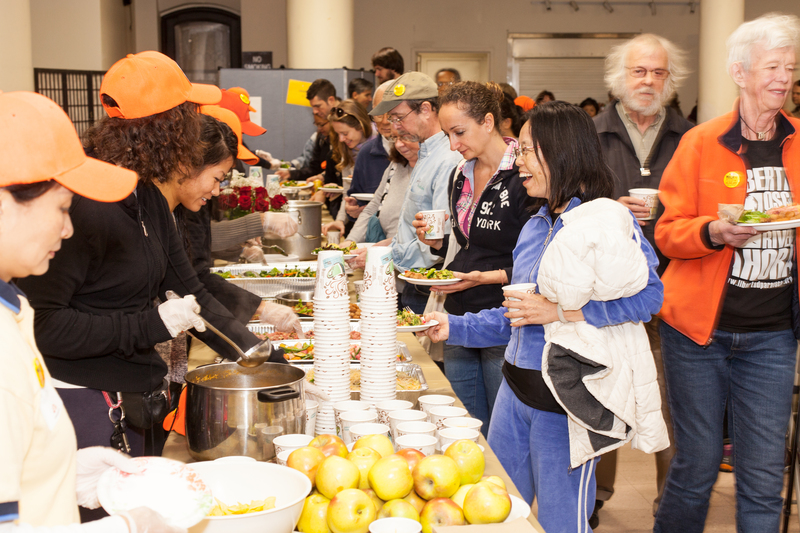 After the walk, the weary walkers gathered at the Holy Trinity Catholic Church on 82nd Street for a mouth-watering vegetarian lunch provided by volunteers. In appreciation of our purpose, the church kindly granted us use of the premises without charge. There were some marvelous speakers, including representatives of two BGR project partners—Harry McNeary III of Urban Rebuilding Initiative and Dan Fiedler of Helen Keller International—and monastics from temples in the greater metropolitan area. Roshi Joan Hoeberichts, a BGR adviser, served as emcee. A raffle was held to offer gifts to the walkers, and at the end green tea cake topped off the meal. The walk, one of thirteen BGR walks worldwide, raised well over $60,000. The funds will go toward BGR’s projects for 2014, which will provide food for the hungry, promote the education of girls, and support ecologically sustainable agriculture from Cambodia to Kenya to California. 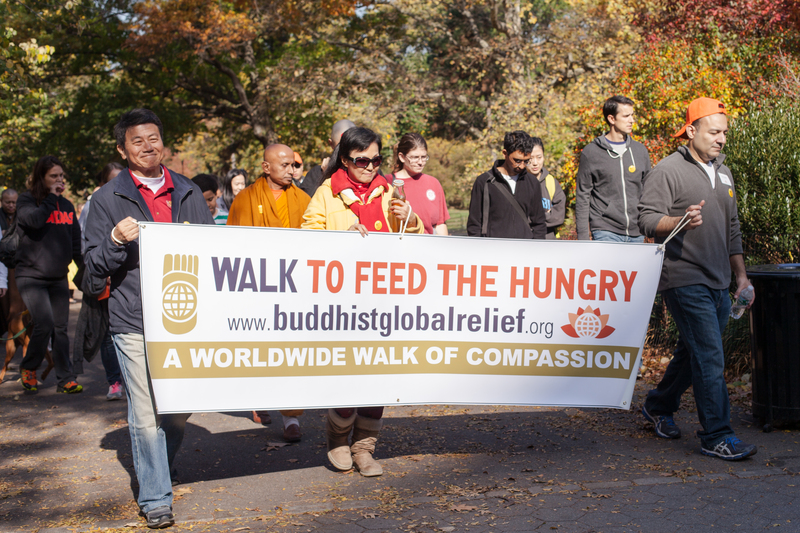 The Buddha said, “The gift of food is the gift of life,” and by their generosity both walkers and donors have given the gift of life–as a gift of love–to many unseen people both in the U.S. and around the world. 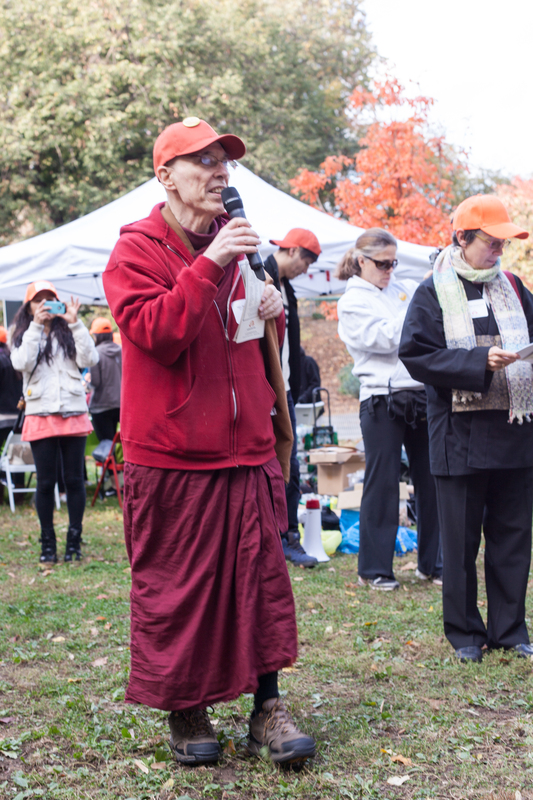 This entry was posted in Interfaith action, News item, Walk to feed the hungry and tagged Engaged Buddhism, Interfaith action, Social justice, Walk to Feed the Hungry. Bookmark the permalink.